My next big trip is just over two months away, so I’ve been putting a lot of energy into making final plans. One of the big questions I had for myself is how to spend my day in Balestrand. On the way between Oslo and Bergen, I have two nights in Balestrand. I depart Oslo by train at 06:25, arriving in Myrdal at 11:48; then at 12:13 the Flåm Railway departs, arriving in Flåm at 13:10. These two trains are supposed to go through some spectacular scenery. Once I get to Flåm, I have a little over two hours before the express boat departs for Balestrand at 15:30, arriving at 16:55. Once I check into the Balestrand Hotel, I’ll have the evening free, and the sun won’t set that evening until about 22:30, so that should allow me plenty of daylight. 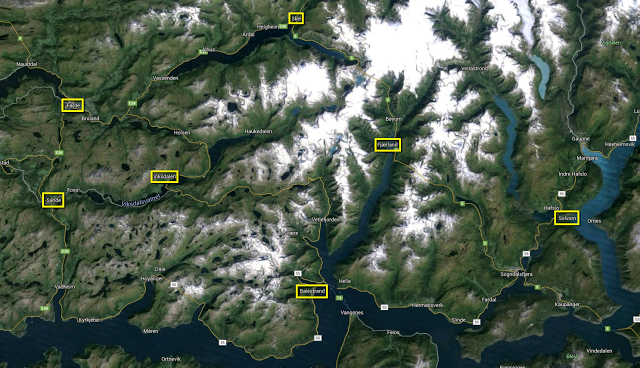 The yellow boxes show some of the locations I could aim towards. The rental agency recommended this loop, but it seems like a lot of drive time and not much time to stop for hiking or exploring. So I might plan on either the western half or the eastern half of this route. 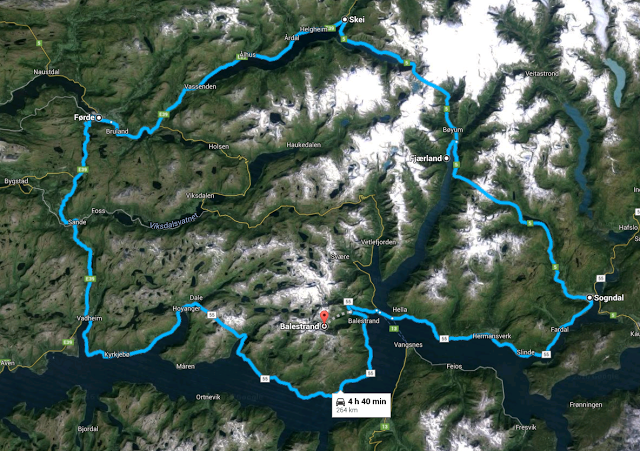 The western half also includes the option of taking the road that cuts north from Balestrand and then to the west. 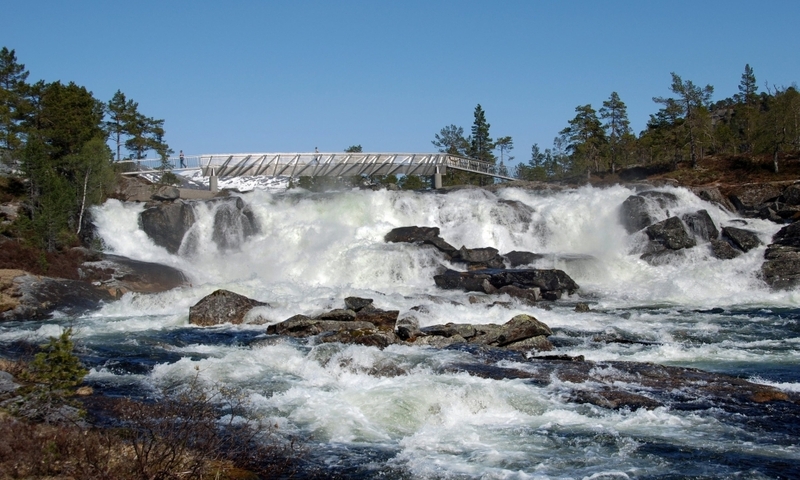 That route is actually listed as a National Tourist Route called Gaularfjellet. Seems like there is some extraordinary scenery on this route, so I’m leaning to at least starting in this direction. 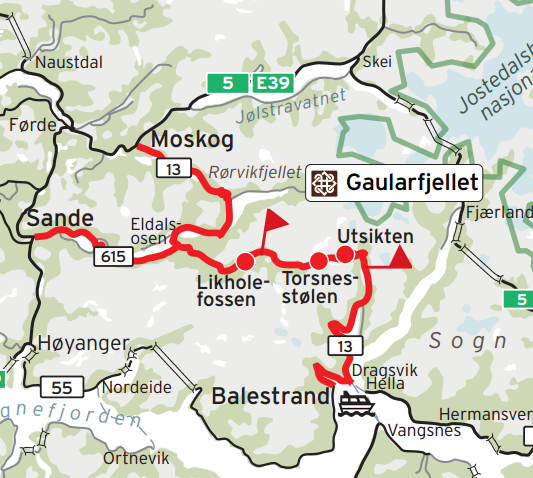 Maybe when I get to Moskog or Sande, I will decide about continuing through Førde or heading to toward Skei and then Fjærland and Sogndal or down to Høyanger and back to Balestrand along the Sognefjord. On the eastern end of the big loop is Solvorn, on the western shore of the Lustrafjord. From there I can take a ferry across the fjord to Ornes, where there is a famous stave church. I guess I will play it by ear. A lot depends on the weather. If it’s really rainy, I won’t want to do much hiking, so I can probably spend more time driving. Either way, I hope to bring back lots of photos!